Ellie Soutter, a Team GB rising star and Olympic snowboarder, has died aged 18. The sad news was shared by Team GB earlier today, July 26, just one day after her 18th birthday, according to the Daily Mail. BBC Sport report Ellie tragically died on her 18th birthday. This cruel world took my Soul mate and “Bessie” from me yesterday on her 18th birthday. I was so proud of the beautiful young woman she had turned into. Ellie I will miss you more than you could have ever imagined. Rest in peace you little Champion! 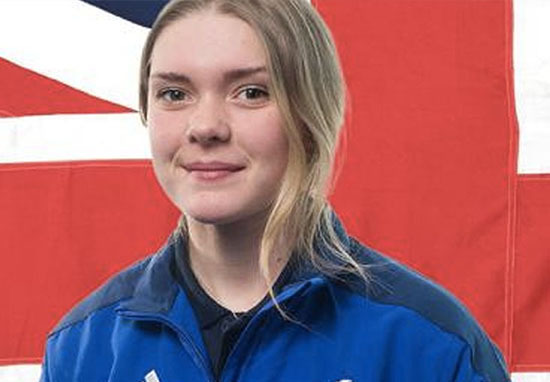 The British Olympic Association is saddened to hear of the sudden passing of snowboard cross athlete Ellie Soutter, aged 18. Our thoughts are with her family and friends at this sad time. Ellie competed in the European Youth Olympic Winter Festival in Erzurum, Turkey, last year, where she won Team GB’s only medal. She also carried the flag at the closing ceremony. The teenager was a specialist in the Freeride and Boardercross disciplines of snowboarding, and was due to return to competing next month. Ellie spent the 2017/18 season competing in the Freeride Junior Tour, and had just been selected for the British team for the Junior World Championships in New Zealand. She was also an inaugural member of the British Europa Cup snowboard cross programme, which commenced earlier this year, and was tipped for a place at the 2022 Winter Olympics. British Ski & Snowboard is saddened to hear of the sudden passing of Ellie Soutter, 18. Ellie was one of the country’s best up-and-coming snowboarders, competing in both snowboard cross and freeride. The thoughts and condolences of the British Ski & Snowboard community are with Ellie’s family, friends and teammates. Ellie was an incredibly popular and well-liked member of the team.